Now is the time to strut your stuff. You just had a great nectar flow and the supers are full. Now you have to sell the big load of honey. 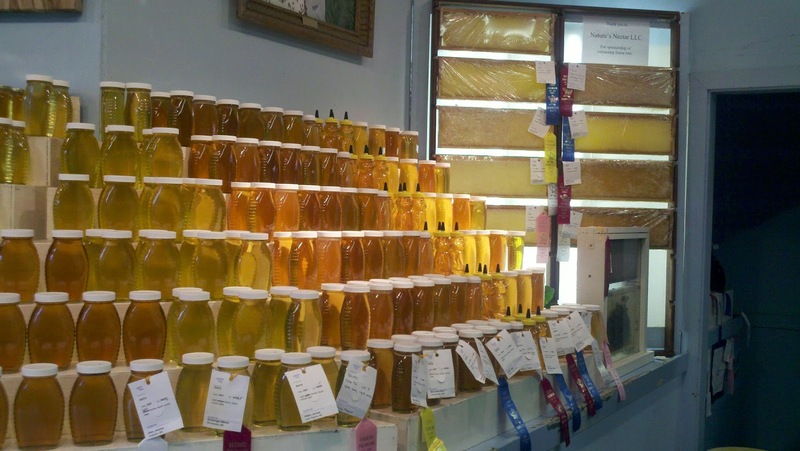 The best way to sell honey for a new beekeeper is to win a ribbon from the Minnesota State Fair. The bragging rights with this ribbon is that you have the best honey in the state. Having award winning honey opens doors and makes people take a more favorable look at your honey. Download the competition Premium Book. There are many categories to enter read the Premium Book for all the entries. Your family, friends and co workers will all come to the bee booth to see your entry. They all are very proud to see your entry. The nectar flow is still chugging along. While not as intense as it was, there are still nectar flowers still coming out. 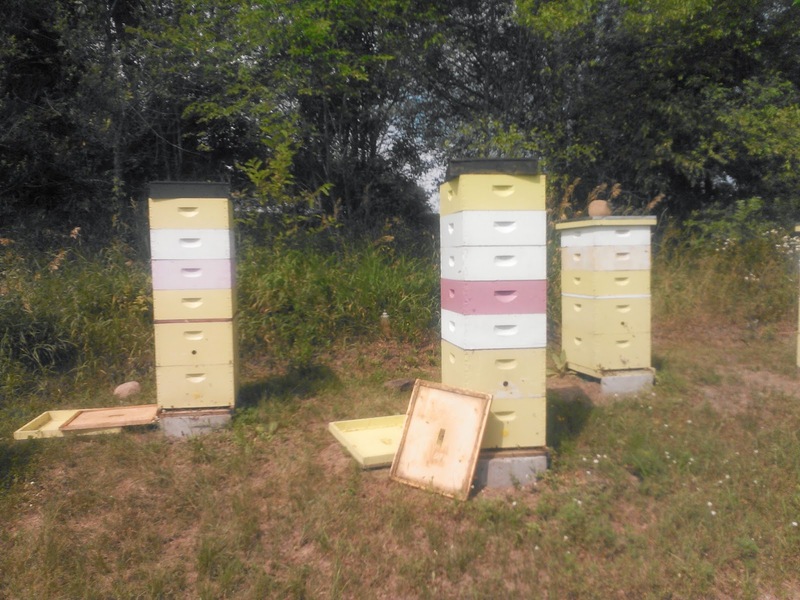 The beekeeper that took this picture, all his supers are full. Notice the fume board on top of the hives. He has to pull some supers and extract. He will put the extracted frames back on the hive and the bees may fill them up again. Some beekeepers were not having a good nectar flow but about a week ago I heard that they now were getting a good flow. The coming week has perfect weather for honey collecting. Many metro beekeepers had a good rain on Friday that should keep us green for the near future. The current nectar flow still has some honey yet to come. Keep the supers on and stay ahead of the bees. This is the second part of Bees on the Brink series. It pits multi billion dollar Bayer the leading producer of neonicotonoids who claims their insecticide does not kill pollinators. They are under intense pressure from citizens that do not believe their claims. Neonicotinoids are showing up in our food and water across the country. Are neonicotinoids causing the demise of pollinators and the wildlife that depend on insects to survive? Is this leading to the Silent Spring? Read the summary of the Silent Spring by Rachel Carson and how it pertains to DDT insecticide use. Is this the same issue now with neonicotinoids? 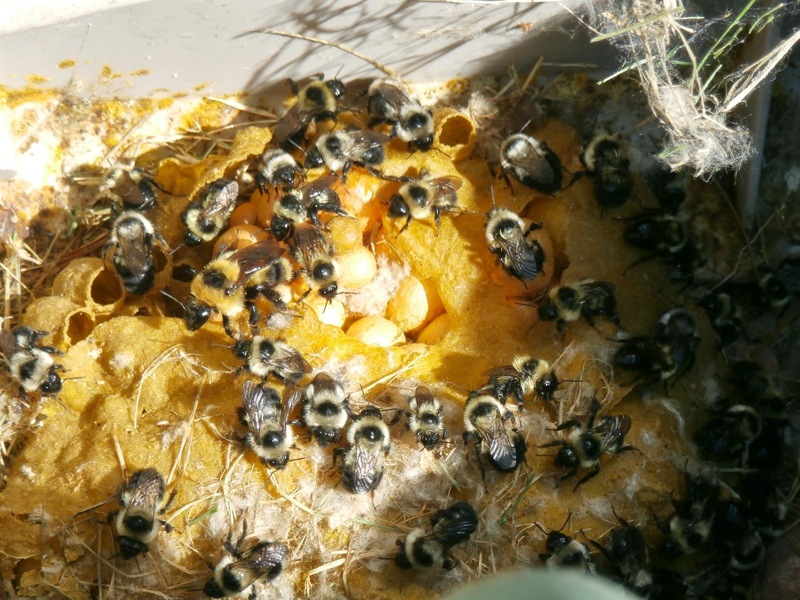 A beekeeper got a call of a swarm that had moved into a hose reel. This bumblebee colony was living in the hose reel. The homeowner did not need the hose reel all spring and earl summer. When he finally needed to use the hose he found the "swarm of bees" in it. The beekeeper removed it and brought them home for his own pollination. The nectar flow is still rolling on. Many beekeepers have 4 to 6 supers on. White sweet clover is in bloom everywhere with other flowers starting to bloom also. I noticed spotted knapweed blooming in the ditches. Spotted knapweed brings in a nice buttery flavored honey. 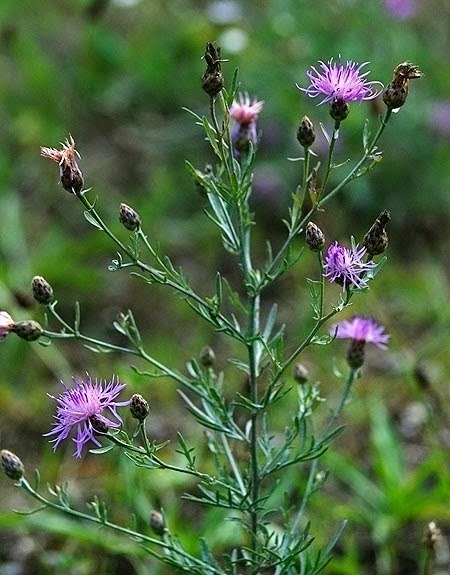 Spotted Knapweed is a noxious weed and should never be propagated. But if it is there, the bees will take the nectar it offers. 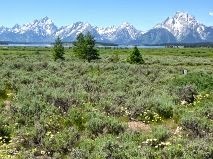 As of July 5th the Basswood trees are not blooming in Cody, Wyoming. 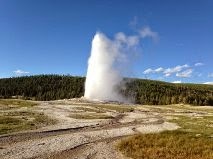 There are many wildflowers in bloom in Yellowstone. No honeybees sighted. Swarming is still a concern with 6 swarms I have heard of today. The nectar flow is going, with many beekeepers reporting honey coming in. Basswoods are in full bloom in Edina on Wednesday. My Basswood trees have lost all their flower buds for some reason and will not flower thus year. I also did see Basswoods in the city of Stillwater with the same malady. Hard to say what it is but hope the can come back next season. If your bees are not moving up into the supers your hive may have swarmed and the majority of the field bees have left. If you spot a capped queen cell the hive probably has swarmed. Don't cut it out. Leave it and that is going to be your new queen. She will start laying in about three weeks. Open queen cells means the queen is in there and not mated yet. So far this is may be one of the best nectar flows in a long time. I hope it is as good as the one in '88. We will be open on July 12th if anyone needs more supers by then.